The Open Championship begins tomorrow, yes, tomorrow. 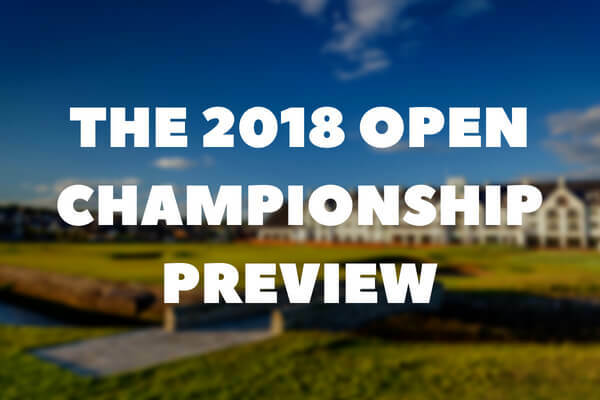 While you’ve been cancelling your weekend plans, regularly checking up on the betting odds and browsing our last minute deals (if not, you should be), we’ve been meticulously preparing for 2018’s third major. With our events team, YGT Rory and co heading up to Scotland this week to host our brilliant customers at Carnoustie, the rest of us will have to settle for a seat in front of the TV. But there’s always next year…no honestly, you can go to The Open in 2019. Anyway, here is the annual Your Golf Travel preview to The Open Championship, we have a feeling this one might just be one to remember. Often dubbed as ‘Car-nasty’ by golfers, pundits and fans, Carnoustie is without doubt one of the most recognisable courses on The Open Rota. With iconic holes, a rich championship history and unique tests for the best of the best, Carnoustie has all the ingredients for a truly incredible Open Championship. The final three holes perfectly epitomise the challenge of this quite unique championship course; not only are they the product of innovative golf course design but also enough to make you pack up your clubs and head to the clubhouse early. The 16th begins the trio and is a sign of things to come with a 245 yard par-3, dread to think what club I’d have to take on that hole. Then we have the 17th, which has caused some confusion with its design from the likes of Tiger Woods, but heavily features the famous Barry Burn which creates an isolated island section of the fairway – something you simply have to hit if you want success on the whole. To end, golfers are met with what is probably the toughest closing hole in golf and has crushed the hopes of many, but we’ll get to that later. Thanks to the UK heatwave the condition of the toughest links golf course has dramatically changed in comparison to previous tournaments. From the infamous rough of 1999 to the wet conditions of 2007, Carnoustie has never played like this. Some will call it firm, fast and dry while others are using phrases like baked and brown, whatever you want to label the courses as, it’s sure going to make for some exciting golf. 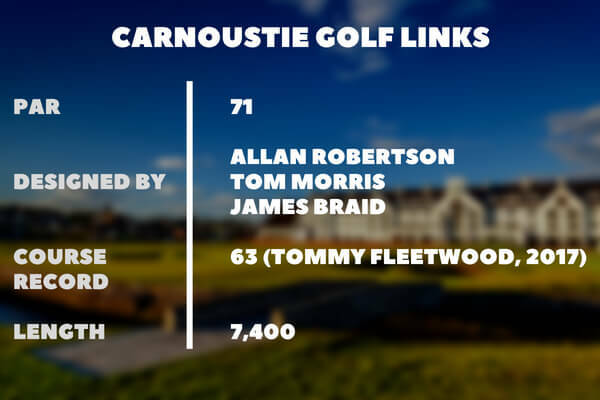 Why is Carnoustie a brilliant Open host? Since 1931, when Tommy Armour first lifted the Claret Jug on the hallowed turf, The Open has returned to Carnoustie seven times (including this week). 1999 was when the phrase Car-nasty really came to light, when the golfing world witnessed what is still known to this day as the biggest ‘choke’ in the history of a major championship. Jean van de Velde walked onto the 18th hole on the final round of the 1999 championship with a three shot lead, he ended up losing in a three-way play-off after an astonishing triple bogey which saw him find the long rough and then Barry Burn to create one of the most iconic photos in golf. What happened in the 2017 Open Championship? Held at the magnificent Royal Birkdale, an Open venue which saw Justin Rose breakthrough following his incredible final hole in 1998, the 2017 Open was equally as dramatic. Jordan Spieth won his third major and his second as wire-to-wire leader, a seriously impressive display from start to finish. However, the start of his final round didn’t begin well with a flurry of bogeys and opening a door to Matt Kuchar who lingered behind in second place. On the 13th, Spieth sent his drive about 100 yards right of the fairway and then spent about 20 minutes debating the rules, however this wasn’t going to define his tournament. Making a birdie at 13, Spieth went on to make a simply magical eagle at 15 which included the hilariously iconic dialogue between player and caddie. He went on to birdie 16 and 17 with only a par needed on the last to regain his three shot lead. While taking all the headlines, and quite rightly so, Branden Grace also put himself into the history books during the third round by scoring a 62, the lowest score ever recorded in a major championship. Want to have a flutter on The Open Championship but not sure who to back? We have gone through some of the favourites to lift the Claret Jug come Sunday evening. Since finishing second to Rory McIlroy in 2014, Rickie Fowler has struggled to reach the final groups of The Open, however across the board he is an extremely consistent major championship performer. The only problem though is that he is yet to win one. Can this be his year? Now to the man who prevented Fowler four years ago; Rory McIlroy is a true enigma of the golfing world. There won’t be many who can argue his brilliance when playing his best, perhaps the closest to prime Tiger when on his game, but he just hasn’t shown it over a whole weekend for a long time. He got his first PGA win in almost two years in March, showed shades of quality at Augusta in April and also impressed at the BMW PGA in May. Rory will want to return to the winners’ circle quickly and what better event to do it at. Whether he deserves to be in this list or not based on performances this year, Tiger Woods will be talked about during Open week for as long as he’s able to perform. His form has been far from poor and if anything, he’s over-performed this season thus far given his dismal 2017, but Tiger is a winner and he will want to lift that Claret Jug for the fourth time. My head says no, but my heart said it’s worth it…just in case. The past year has been the best of Tommy Fleetwood’s career and he continues to impress on the biggest stage. Much like Rickie Fowler, he is very close to a major but seems to struggle getting over the line, most evident last month when he was pipped to the US Open title by 2017 winner Brooks Koepka. Fleetwood actually holds the course record at Carnoustie, shooting a 63 in the Dunhill Links last year, a couple of those weekend will certainly have him up there. There’s no doubt about it, Jordan Spieth loves the big stage. His final round at The Masters this year was incredible to watch, but since then he has really struggled and even missed the cut in the US Open last month. Spieth will be looking to be the first champion to successfully defend his Open title since Padraig Harrington in 2008. As the number one ranked golfer in the world, it comes as no surprise that Dustin Johnson is the bookies’ favourite for this weekend. Johnson could be peaking at the right time heading to Carnoustie this week, he stormed to victory in the St Jude Classic before finishing third at Shinnecock Hills. One thing’s for certain, DJ will be licking his lips at the conditions of Carnoustie, the way he hits the ball we can all expect some monster drives. 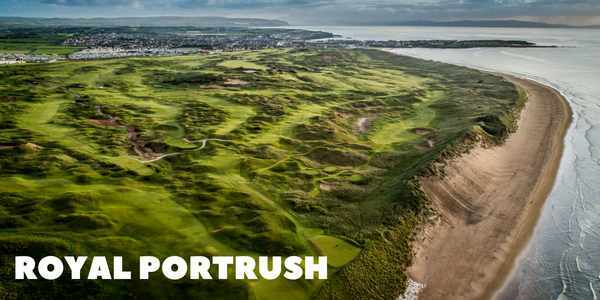 It may be too late to get a ticket for the action this weekend, but here at Your Golf Travel we are already preparing for a historic Open Championship in Northern Ireland when it heads to Royal Portrush.